Romantic dress with striking box pleated skirt and puff sleeves with button detail. With a silk organza over skirt with lace detail at the hem and a smart pleated sash. 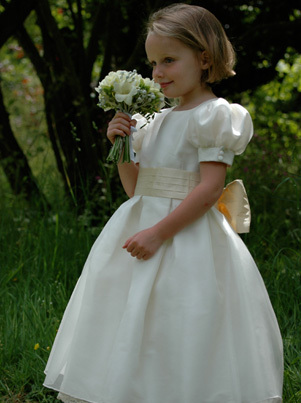 Perfect for flower girls and bridesmaids.